The Rope Masters videoKast is your source for the best in rope skipping instruction. Join World Champion Peter Nestler as he takes you around the world to learn from some of the best jumpers in the sport. Each episode features 2 skills. 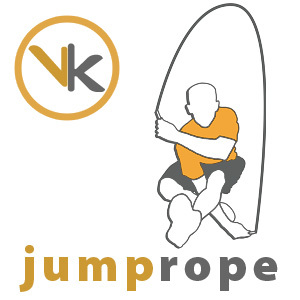 A jv skill – geared toward those just getting into jumping or for those looking to add some variety to their workout, and a varsity skill – designed to challenge the more advanced jumper. All aspects of rope skipping will be covered so whether you’re looking to Double Dutch, Chinese Wheel, or just learn the basics of jumping by yourself, this show will cover it all.